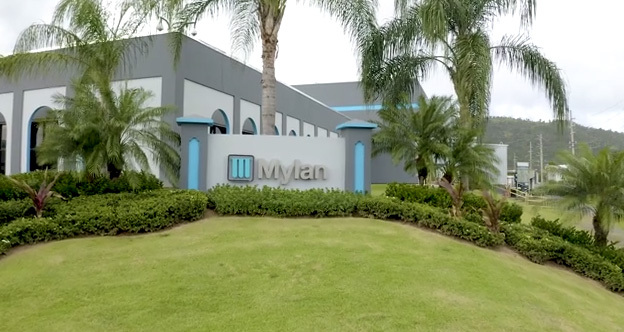 HERTFORDSHIRE, England and PITTSBURGH, Nov. 20, 2018 /PRNewswire/ -- Mylan N.V. (NASDAQ: MYL) today announced that its U.S. based Mylan Pharmaceuticals business is conducting a voluntary nationwide recall to the consumer level of select lots of Valsartan-containing products, including six lots of Amlodipine and Valsartan Tablets, USP (including the 5mg/160mg, 10mg/160mg, and 10mg/320mg strengths), seven lots of Valsartan Tablets, USP (including 40 mg, 80 mg, 160 mg, and 320 mg strengths), and two lots of Valsartan and Hydrochlorothiazide Tablets, USP 320mg/25mg strength. These products are being recalled due to detected trace amounts of an impurity, N-nitrosodiethylamine (NDEA) contained in the API Valsartan, USP, manufactured by Mylan Laboratories Limited. NDEA is a substance that occurs naturally in certain foods, drinking water, air pollution, and industrial processes, and has been classified as a probable human carcinogen according to the International Agency for Research on Cancer (IARC).